Pinterest has the incredible potential to help small businesses increase their brand awareness, website traffic, and sales. If you haven’t added this platform to your marketing stack, you need to! There has never been a better time to use Pinterest for Business. Pro-bloggers, influencers, and brands have used the Tailwind App for years to their advantage, so why shouldn’t you? In the beginning, it was an invitation-only platform for social media’s elite. Now it’s open to everyone and so it’s the perfect time to take advantage of this amazing tool. Here are the 5 reasons you should use Tailwind App to grow your Pinterest. 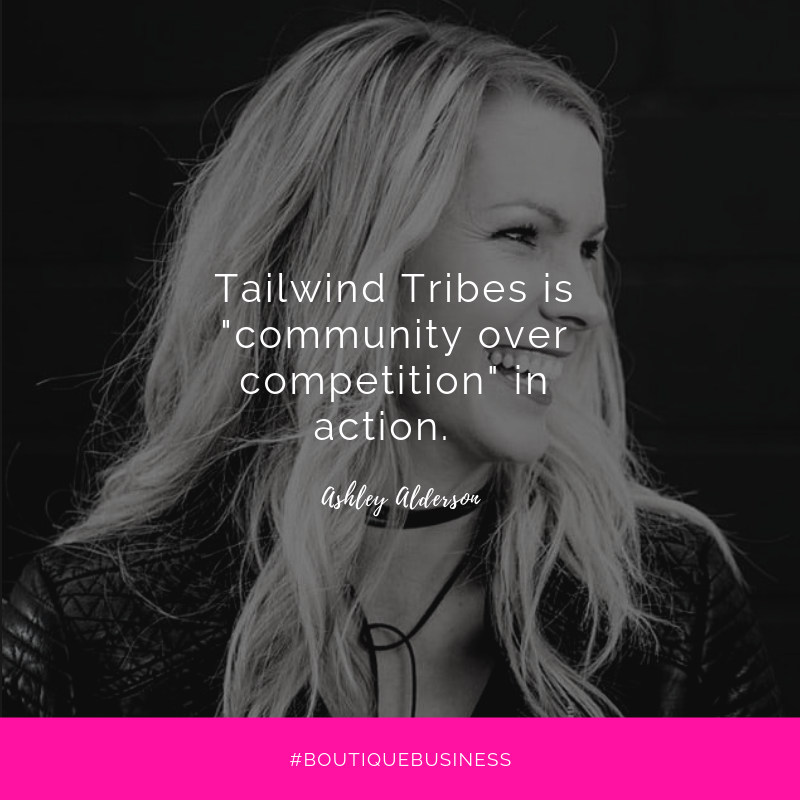 Tailwind Tribes are a collaborative marketing tool that gives its members an extreme advantage. The concept is similar to Pinterest group boards, but it’s built-in accountability and transparency makes it exponentially more effective. By combining the followers of all of the Tribe members, Tribes creates a ‘collective audience’. Successful bloggers and influencers have been using this tool to achieve explosive growth for years; and after being invited to participate in the Beta test of Tailwind Tribes, I had the opportunity to learn for myself how well it works. The most successful Tribe I am in is a group of DIY Bloggers. The owner, Kim Demmon, is very strict with her “Tribe Rules.” She demands a 1:1 pin ratio, mandatory participation (inactive users are deleted after 90 days), and Pins that are not related to decorating or of poor quality are deleted. Her Tribe is invitation only, and you can’t request to join unless you have a minimum of 10,000 followers. Despite only having 40 members, the current reach of her Tribe is over 1 BILLION. My own following doubled within 30 days of joining her Tribe. The reason was twofold: I had access to both their large audiences and quality content. Using Kim’s example, I went on to create my own Tribes and have enjoyed great success, as well. At this time, The Boutique Hub’s fledgling Tribe has over 91 Members. Have you joined our Tribe already? If not, follow the links below to join! Are you a Wholesaler, Vendor, Brand, or Service Provider? Tribes alone would be enough to jump-start your Pinterest Account, but there is so much more! Tailwind’s smart scheduler saves you time and money with its automation features. This amazing drag and drop editorial calendar will allow you to accomplish HOURS worth of Pinterest management in minutes. You are no longer limited to the “Pin It” button or your social media scheduler. You can even post to your Facebook Page and Instagram accounts! The Tailwind Browser extension lets you bulk upload from multiple sources and makes manual uploading a thing of the past. To top it off, Tailwind’s smart scheduler delivers your Pins when your audience is the most engaged. Even more, you can schedule your Pins months in advance, so you can “set it and forget it”. Another convenient feature is that you can connect your Instagram account and Pin directly from Instagram. No need to rewrite your captions! Plus, the likes your posts receive on that platform transition over to Pinterest. This can help create viral pins since people are more likely to Pin something that has been “liked” more often and the momentum continues across platforms! This next feature you are going to LOVE. Smart Loop allows you to repin niche and evergreen content back to work! Re-use your best-performing Pins and Tailwind will republish them for you at the right frequency and to the right boards. In the past, marketers would use spreadsheets to track and manage their Pinterest content. That’s no longer necessary because you can save and share your content intuitively! For those of you that are participating in Group Boards, you can also customize your Smart Loop rules for your board. This will allow you to contribute relevant content for each season. You can easily add your pins to Smart Loop when you create them, or by adding them through your scheduler. I’ve been active on Pinterest since its conception. As you can imagine, managing 8 years worth of Pins is an enormous task so Smart Loop is an answered prayer! When I create niche or seasonal content, I just add it to my Smart Loop, and it will automatically show up at the right time the following year! Tailwind easily allows your business to easily track how your Pins grow organically. You can monitor, measure and learn from pinning trends related to your brand. Tailwind also takes the guesswork out of what Pins are resonating with your followers. Their user-friendly dashboard allows you to sort your pins by most pinned, clicked, and engaged. This allows your business to create and deliver relevant content to potential customers. Since 50% of pinners buy products after seeing a promoted pin, being able to quickly recognize and produce popular content is vital to success on this platform. I routinely check my insights for my published pins (I have thousands) and schedule my content again with the most Repins. This strategy has been key to building my account while saving me so much time and money. Tailwind’s Pinterest and Instagram analytics are hands down the best I’ve seen. Their reporting is user-friendly and actionable. Most of the time, you feel like you need a degree from MIT to interpret your analytics data. That isn’t the case with Tailwind. Our friends at Tailwind have created a visually beautiful dashboard with all of the statistics you need. You can clearly see what’s working and what’s not. Has anybody else had the experience of pouring money into Facebook and Instagram and been disappointed with the results? Tailwind App takes the guesswork out of measuring followers, engagement trends, and virility by pin, board, or category. Are you technically inclined and you love pouring over Google Analytics traffic and revenue data? Then we don’t want to leave you out of the party! Tailwind is integrated with Google too. There are countless reasons for boutique owners to use the Tailwind App! Tailwind Tribes amplifies your reach and makes quality content accessible. Smart Scheduling utilizes multiple platforms and posts to your audience at optimal times. In addition, the Smart Loop feature allows you to reuse your best-performing evergreen and seasonal content. Furthermore, Tailwind’s Pinterest and Instagram monitoring allows you to curate and organize trending content. And last but not least, its superior Analytics pinpoints (no pun intended) your ideal audience and what resonates with them. 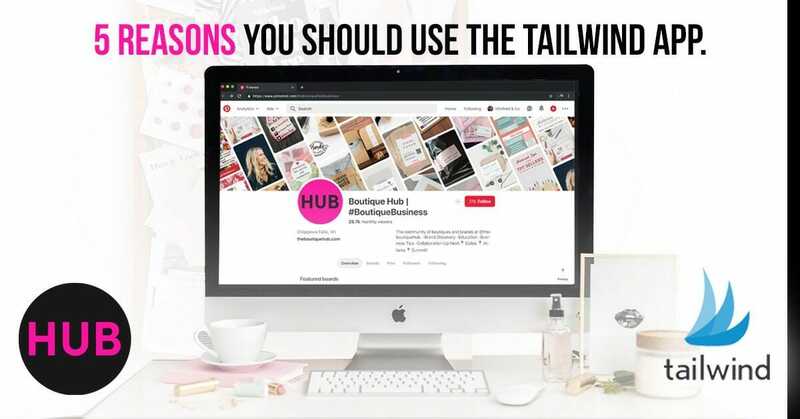 Tailwind App is the perfect tool to help small businesses thrive on Pinterest and Instagram! Love these tips? Find more just like this inside of our Member’s Training Library! Join us if you aren’t yet a member!